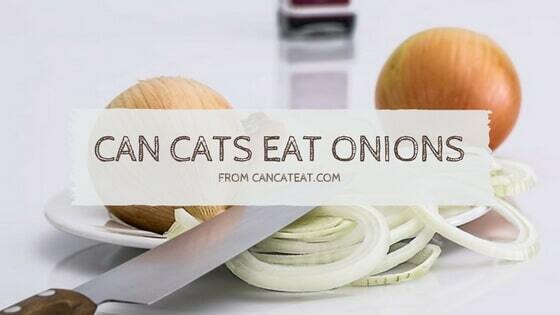 Can cats eat onions? Onions may seem like harmless food for us. We can consume them daily. That does not mean, they are also safe for your cat. Onions possess an extremely high level of toxicity to cats. In many cases, it could even be deadly to cats. We should always keep onions away from cats. no matter what. Onions are toxic to a cat. Even in a very small amount. It could be very dangerous to your feline friend. There are many reasons. Any kind of onions can break down cat’s red blood cells. And, This will lead to anemia. If your cat is eating onion in large or smaller amount on a regular basis. This can cause onion poisoning in cats. Along with onion, garlic and chives are also toxic for cats. You should not let her eat any of this food. They also could lead to gastrointestinal upset. You saw your cat licked onion. What should you do? can be fatal in cats. Baby food that you buy from the market made from meat is often contain seasoned with onion or garlic. So, You should read the labels carefully before you feed them to your cat. So, what should you do if your cat eats onions and If you find out your cat ate chicken cooked with onion or some food that contain onion. Then, you cat is going to need immediate veterinary attention. Onion toxicity in cats is a hypersensitive reaction of our feline red blood cells to the oxidant present in fresh or dried onions. An onion is toxic to a cat if more than 1 gram per 5 pounds of body weight is ingested. How much onion will hurt a cat? A small amount of onion is highly toxic to cats according to the ASPCA. They are also toxic to dogs and horses. Onions have N-propyl disulfide named a chemical factor. Felines are especially affected by this chemical. This is even worse than canines. Onions are potentially poisonous to our feline friends. And, the similar root vegetables can also be very harmful, including leeks, chives, scallions, and garlic. Even in any form onion is toxic to cats. If you got an onion is chopped up from the market, Whether you got a fresh one from the garden, or in dried powder form as a seasoning. It can bring dangerous consequences in cats. If your kitty may look as she pleads with her eyes for a bite of your garden salad. Do not share it with your cats in under any circumstances. Onion toxicity is a very serious matter in veterinary. So do not take it as a light threat. Remember, Your cat’s health is counting on you. If you want to aware of what are the key sign if your precious pet may be experiencing onion poisoning. The Key symptoms are including overall feelings of weakness, diarrhea, throwing up, panting, wheezing, coughing, rapid heart rate, anemia, and bloody urine. If your cat showings any sign of the dangerous symptoms. Do waste any second in contacting a vet. Directly take your cat to an emergency veterinary hospital. If your pet’s skin has made contact with onions. The veterinarian will advise you to wash and dry her thoroughly. In some cases, the vet may also encourage throwing up to remove all traces of the toxic onion. The vet may also conduct blood testing in order to determine whether or not anemia is a problem. If the toxicity level is especially serious in your cat. A blood transfusion may come into play. Onions, garlic, shallots, and scallions can cause damage to your cat. The effect on your cat’s red blood cells and lead to anemia. These foods are typically poisonous to cats. The forms of onion or garlic, such as onion soup mix or garlic powder. That can also be toxic to cats. Some cats with symptoms of lethargy, weakness, reduced appetite, pale gums, and orange to dark red urine should be taken to the vet immediately. Yes, your cats can eat pasta. But it’s not the best thing for your cat to eat. You should ensure that all your cat’s nutritional needs are covered by eating high-quality cat food. If your cat is healthy, then you should feed her pasta occasionally in a small amount. But, never let your cat fill up on pasta. Cats can get addicted to tuna as they are tasty. Some tuna won’t hurt your cats. A steady diet of tuna that prepared for the human can lead to malnutrition to your cat. If You let your cat eat too much tuna, She will end up in mercury poisoning. You should also know that these symptoms won’t come up right away after your cat eats onion. Most of the time, it would take 2 to 4 days after your cat consumed the onion for symptoms to become apparent. But, let’s say your pet accidentally consumed onion because you left alone in the kitchen. What would you do? The best action is to bring your cat to a veterinarian immediately. The vet may try to induce vomiting to decrease the cat’s absorption of the onion by administering a product. Your cat’s life and well-being completely depend on your hand. It’s what you let her eat or not. By keeping poisonous foods out of her reach as well as making sure she consumes a balanced food. 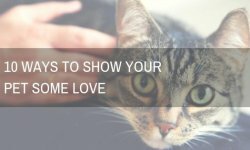 You are helping your feline friend to stay healthy. Store foods out of your felines reach. You can Install cat-proof locks on cabinets may be necessary for a curious cat. Do not let your cat eat something that she should not while you’re cooking or eating. It is especially important to be more mindful and conscious during the holidays. There is likely more enticing people food around. Most of them can upset your cat’s tummy or even more harmful for her. You should never entertain your cat’s begging. No matter how badly she wants to bite your pizza. Increase her activity time. You can distract her by increasing her activity. Perhaps she needs more playtime? You could Give her more frequent meals. There’s a likelihood that your cat can’t wait for her next meal, So she tries to get her hands on the raw onion. You could increase the number of her meals. Alcohol – Cats can often get into alcohol. That could be from uncommon sources, like unbaked dough or rum-soaked desserts. By consuming Alcohol your cat and dog will get low blood sugar and low body temperature. It can end in coma or seizures. Avocado – Dogs and cats can have adverse reactions to avocados. But they are most toxic to birds. After having some of this fruit, birds could develop respiratory distress and may also die. Caffeine – Pets can react to caffeine. Some of the symptoms like vomiting, diarrhea, increased thirst, restlessness and increased heart rate. Caffeine is toxic to cats and dogs. Chocolate – Most pet owners recognize that chocolate is very toxic to their dogs or cats. More the chocolate is darker, it is more dangerous for cats. Because it has more caffeine and theobromine. Grapes and Raisins – Both grapes and raisins can cause acute kidney failure in dogs and some cats. Cat owners should keep these out of cat’s reach in every form, including raisin bagels or grape juice. Mushrooms – Not all mushrooms are toxic. However, some can be a gastrointestinal irritant. Others can be hallucinogenic for a cat. And some can cause acute liver failure and death for your cat. Sugar-Free Foods (Xylitol) – The natural sugar Xylitol can be very dangerous for the feline. It can cause a drop in blood sugar and potential liver damage in your cat. As we know cats are carnivorous. Let’s see what protein foods are safe for cats to eat. As we said cats are carnivorous. But it does not mean they can’t eat veggies. Some cats like to eat veggies as a snack. Some cats don’t like to eat grains. Try to give them in a small amount before giving them the full piece. You can make some fun treat with fruits for your cat. Fruit could help if your cat has a digestive issue. As they become older. Cats may become lactose intolerant. So make sure to only give your cat small amounts of dairy foods. 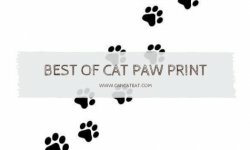 Your cat will love to see fish treat, Too much fish can deplete your cat’s Vitamin E.
You should not give your cat even any small amount of onion. They are very harmful to your cat. All Onions either they are cooked or raw are very toxic to your cat. Even If your cat ate a small amount of onion. You should take your cat to veterinary assistance immediately for treatment. So, It would be best you keep onions away from your cat’s reach. You can store them onion into the cupboard when your cat can’t reach instead of leaving them on top of the table. 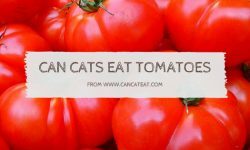 Hope, This article helps you to get your answer to can cats eat onions.